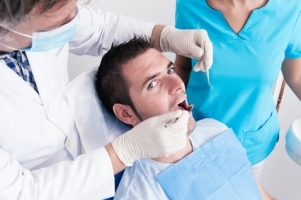 Get expert advice on a dental negligence claim with a free consultation. When an individual sustains an injury as a direct consequence of dental treatment that they have received, this may constitute an act of dental negligence. Dentists owe their patients a duty of care. If you suffer pain or injury because of a lapse in providing this duty of care, you may be entitled to file a dental negligence claim. This does not mean that anybody whose dental treatment has failed or who is in pain after a dental procedure can file a claim against the dentist. Proving that a dentist has acted negligently can be a very complex task and the law grants compensation if and only if, the claimant can prove beyond any doubt that the dental treatment they received directly caused or contributed to their pain or injury. If you intend to file a dental negligence claim because your dental treatment was unsuccessful or it exacerbated existing problems or caused new dental problems, the burden lies on you to prove that this was because of negligent treatment and was not a natural, unavoidable development. A dental negligence claim comes under the purview of personal injury claims and as with any personal injury claim, you must have sustained some form of injury or damage, which could be physical or psychological, as a direct result of the dental treatment in question. If the dentist or anyone on the dental support team acted negligently or carelessly but you did not sustain any form of injury, you cannot proceed with your claim for compensation. ‘Would have’ or ‘could have’ caused an injury isn’t considered sufficient reason to justify awarding you compensation. Inadequate treatment: This could stem from the dentist not using the right techniques to treat your dental problem. Inadequate dental treatment could refer to a one-time treatment or treatment given over a long period of time, which resulted in serious complications. Misdiagnosis: Correct diagnosis is a crucial component of patient care, Misdiagnosis or failure to diagnose an existing condition could lead to failure to provide adequate or accurate dental treatment, which could exacerbate the original problem or cause further oral damage. Careless dental work: This category includes a very diverse range of situations, from extracting the wrong tooth to cutting the patients gum or lip during a procedure. This takes into account whether or not the plaintiff did in fact contribute to their own injury by acting in a negligent manner despite being aware of the consequences. Your dental history is a key factor in assessing your claim. Your compensation may be significantly affected if you have a prior history of identical or similar dental problems. Injuries are evaluated according to their level of seriousness. Some dental injuries are more serious than others and will attract a higher compensation. The greater the pain and persistence, the higher the compensation is likely to be. You will usually be awarded full or sometimes part of the cost of any specialist dental treatment that you may have to undergo to remedy the damage done by the negligent treatment. Claiming for trauma suffered can be the most complex aspect of dental negligence claims. You have to be able to prove that you suffered psychological trauma specifically as a result of the dental treatment. Is the injury temporary or is it likely to have long-term or permanent consequences? The longer the symptoms are expected to be present the higher the compensation is likely to be. For dental negligence claims, the date on which the injury was sustained is considered as the date of knowledge and any compensation claim has to be filed within 2 years of this date of knowledge. You will lose the opportunity to make a compensation claim after 2 years. If you think you have a strong case and you intend going ahead with filing a compensation claim, it is important to contact a personal injury lawyer at the earliest so you can start with the formalities.